NICOLE RICHIE NEWS: Do you love it? 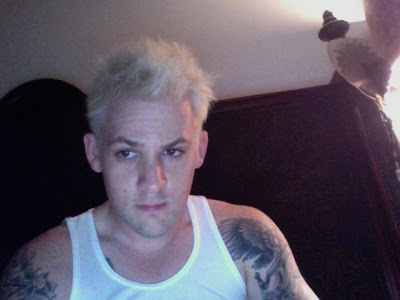 Joel Madden has changed his hair and posted the picture of his new 'do on Twitter .. Do you love it? What do you think of the bleached blonde look ..? I'm not too sure, but i am biased since i do prefer dark haired men!